In order to let users have a better taste experience, we edit this vaporizing temperature table below, you can find the recommended vaporization temperatures for a variety of herbs. 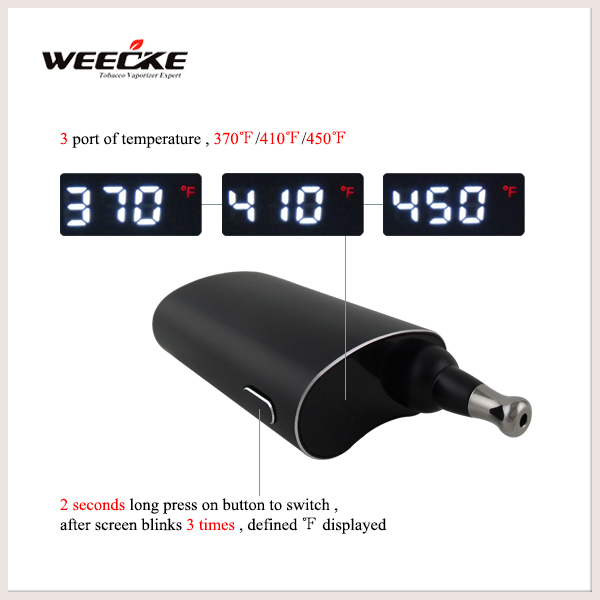 If you happen to have Dr.Haze or C Vapor from Weecke, you must to know the temperature setting of your device. The Dr.Haze is with 2 temperature options: Low temperature (target 200°C )and high temperature(target 230°C ) . And the C Vapor with 3 temperature settings : 370°F, 410°F ,450°F, when you vaporizing different herbs , please do check the recommended temperature to choose a suitable setting. In the table below you can find the recommended vaporization temperatures for a variety of herbs.